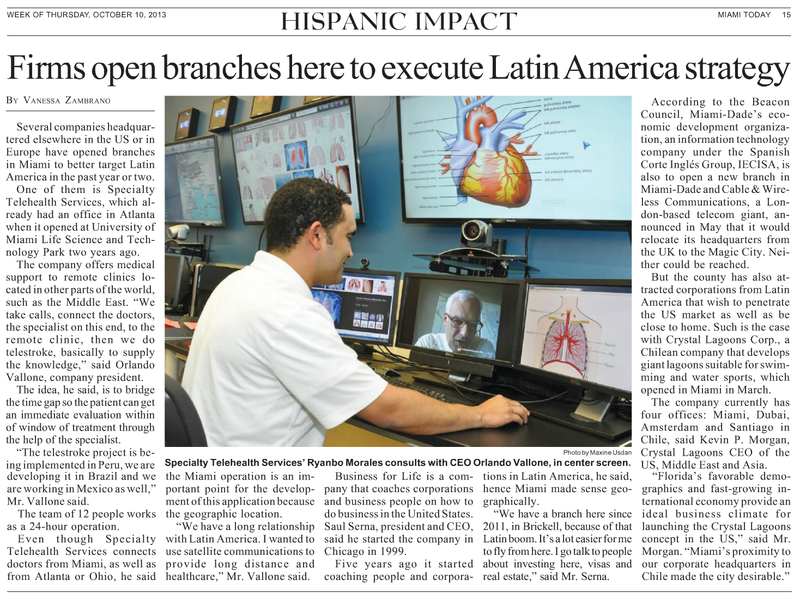 Specialty Telehealth Services was featured in this week’s edition of Miami Today in the Hispanic Impact section. In the article, STS’s Orlando Vallone discusses the reason his company moved to Miami and took space at the UM Life Science & Technology Park’s Miami Innovation Center to position its business for further growth and expand into the Latin American market. The story runs with a great photo of STS offices and Orlando even makes a cameo on the tv screen.